For hundreds of years, the church championed the beauty of Gods creation, demonstrating in many ways how it points to the Creator. 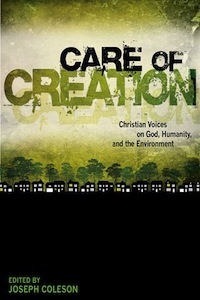 However, over the last century, the evangelical church has let the value of caring for creation slip away. 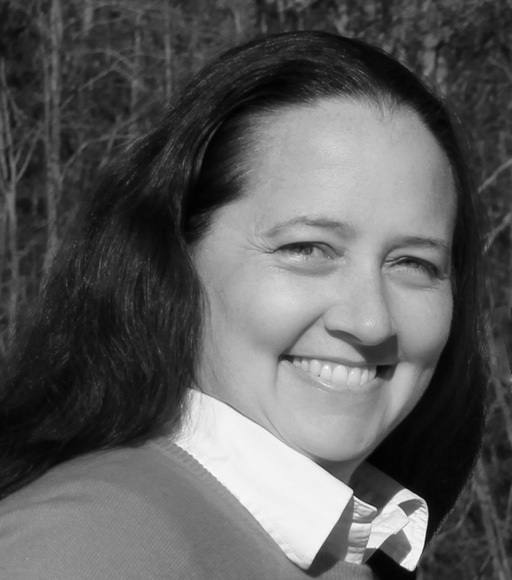 Author and pastor Tri Robinson makes a compelling case for the biblical mandate behind environmental stewardship and shows the church what it can do about this eroding value. 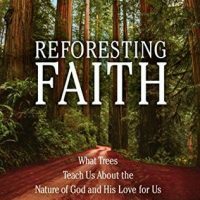 Through sharing both his own personal story and the story of his church in response to environmental concerns, Robinson clearly shows how important this value is and how effective it is in showing others the Creator. 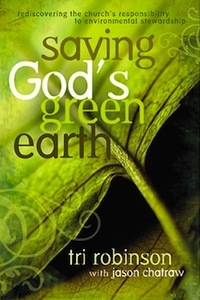 Not only does Robinson inspire the reader to care for the environment, he reveals a clear pathway to making the value of environmental stewardship real in both the life of the reader and the Christian community in which he or she is involved. From soccer moms to CEOs, Americans of all stripes are finding their footing in the green movement. Are you curious about earth-friendly living but confused by the hype? 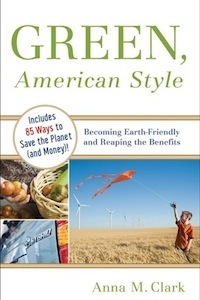 Green, Amerian Style offers practical advice for saving money, getting healthy and protecting your future. 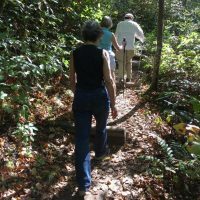 You”ll discover how our families, our businesses and our communities can lead the change by simply conserving and sustaining our most precious resources. One person can make a difference: this book will show you how and why. Written in 1980, before living simply and “green” became trendy and popular, Living More with Less was a practical guide for living in simple, sustainable, and healthy ways—ways that keep the future of the planet, and the plight of poor people, in mind. 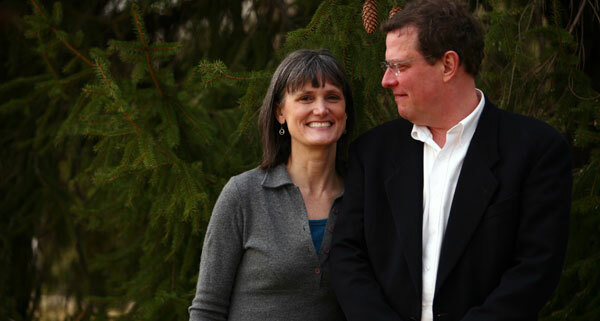 Thirty years later, Living More with Less: 30th Anniversary Edition is being released as a way to celebrate and honor Longacre, who died of cancer in 1979 at the age of 39, before she could complete the original manuscript. In addition to Doris” original reflections on themes such as doing justice, learning from the world community, cherishing the natural order, and experiments in nonconformity, Living More with Less: 30th Anniversary Edition contains new and updated essays, reflections, inspiration and practical tips in areas such as money, homekeeping, gardening, cooking, clothing, transportation and technology. Click here for sample tips and ideas from the book. 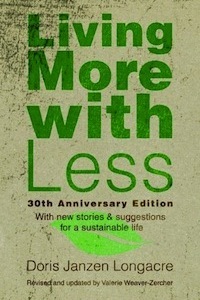 Living More with Less: 30th Anniversary Edition collects the wisdom and experience of those who live with less than a consumer culture says we need. With stories, reflections, and advice from people around the world who are making changes to their daily habits in response to climate change and global poverty, Living More with Less 30th Anniversary Edition is a vibrant collection of testimonies, old and new, of those who are discovering the joy of living with enough. Or, to put it another way, it”s a cookbook for life. 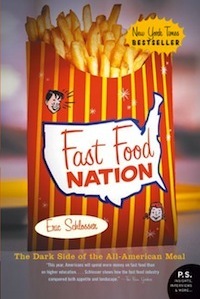 Schlosser”s incisive history of the development of American fast food indicts the industry for some shocking crimes against humanity, including systematically destroying the American diet and landscape, and undermining our values and our economy. The first part of the book details the postwar ascendance of fast food from Southern California, assessing the impact on people in the West in general. The second half looks at the product itself: where it is manufactured (in a handful of enormous factories), what goes into it (chemicals, feces) and who is responsible (monopolistic corporate executives). In harrowing detail, the book explains the process of beef slaughter and confirms almost every urban myth about what in fact “lurks between those sesame seed buns.” Given the estimate that the typical American eats three hamburgers and four orders of french fries each week, and one in eight will work for McDonald”s in the course of their lives, few are exempt from the insidious impact of fast food. Throughout, Schlosser fires these and a dozen other hair-raising statistical bullets into the heart of the matter. While cataloguing assorted evils with the tenacity and sharp eye of the best investigative journalist, he uncovers a cynical, dismissive attitude to food safety in the fast food industry and widespread circumvention of the government”s efforts at regulation enacted after Upton Sinclair”s similarly scathing novel exposed the meat-packing industry 100 years ago. By systematically dismantling the industry”s various aspects, Schlosser establishes a seminal argument for true wrongs at the core of modern America. (Jan.) Forecast: This book will find a healthy, young audience; it”s notable that the Rolling Stone article on which this book was based generated more reader mail than any other piece the magazine ran in the 1990s. In this groundbreaking book, one of Americas most fascinating, original, and elegant writers turns his own omnivorous mind to the seemingly straightforward question of what we should have for dinner. To find out, Pollan follows each of the food chains that sustain usindustrial food, organic or alternative food, and food we forage ourselvesfrom the source to a final meal, and in the process develops a definitive account of the American way of eating. His absorbing narrative takes us from Iowa cornfields to food-science laboratories, from feedlots and fast-food restaurants to organic farms and hunting grounds, always emphasizing our dynamic coevolutionary relationship with the handful of plant and animal species we depend on. Each time Pollan sits down to a meal, he deploys his unique blend of personal and investigative journalism to trace the origins of everything consumed, revealing what we unwittingly ingest and explaining how our taste for particular foods and flavors reflects our inheritance. The surprising answers Pollan offers to the simple question posed by this book have profound political, economic, psychological, and even moral implications for all of us. 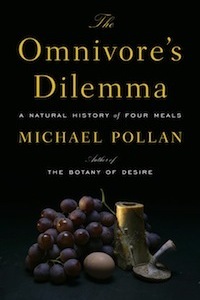 Beautifully written and thrillingly argued, The Omnivores Dilemma promises to change the way we think about the politics and pleasure of eating. For anyone who reads it, dinner will never again look, or taste, quite the same. 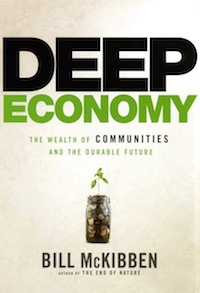 In this powerful and provocative manifesto, Bill McKibben offers the biggest challenge in a generation to the prevailing view of our economy. For the first time in human history, he observes, “more” is no longer synonymous with “better”indeed, for many of us, they have become almost opposites. McKibben puts forward a new way to think about the things we buy, the food we eat, the energy we use, and the money that pays for it all. Our purchases, he says, need not be at odds with the things we truly value. McKibben”s animating idea is that we need to move beyond “growth” as the paramount economic ideal and pursue prosperity in a more local direction, with cities, suburbs, and regions producing more of their own food, generating more of their own energy, and even creating more of their own culture and entertainment. He shows this concept blossoming around the world with striking results, from the burgeoning economies of India and China to the more mature societies of Europe and New England. For those who worry about environmental threats, he offers a route out of the worst of those problems; for those who wonder if there isn”t something more to life than buying, he provides the insight to think about one”s life as an individual and as a member of a larger community. McKibben offers a realistic, if challenging, scenario for a hopeful future. As he so eloquently shows, the more we nurture the essential humanity of our economy, the more we will recapture our own. 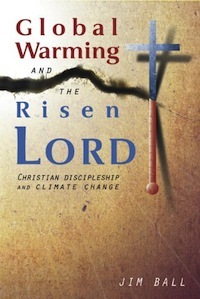 Global Warming and the Risen LORD moves beyond the old debates about climate change to a new conversation focusing on the tremendous opportunities there are and the biblical and spiritual resources wehave been given to meet this threat. A major focus of the book is the deep biblical basis for our engagement with global blackjack online warming. Filled with inspirational stories and sobering scientific research, Rev. Ball shows us that global warming is one of the major challenges of our time, but one that can be overcome by following the Risen LORD. By a copy! 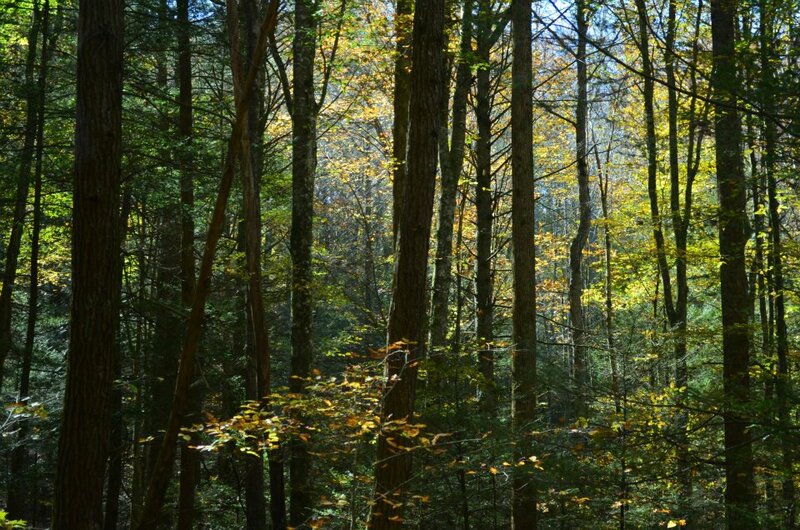 An exhilarating meditation on nature and its seasons-a personal narrative highlighting one year”s exploration on foot in the author”s own neighborhood in Tinker Creek, Virginia. 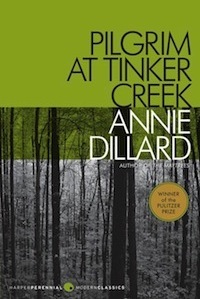 In the summer, Dillard stalks muskrats in the creek and contemplates wave mechanics; in the fall she watches a monarch butterfly migration and dreams of Arctic caribou. She tries to con a coot; she collects pond water and examines it under a microscope. She unties a snake skin, witnesses a flood, and plays -King of the Meadow” with a field of grasshoppers. Christians have God”s mandate to be good stewards of his creation, but it is a challenge to discover a wise and biblical perspective on issues of creation care, apart from the political rhetoric. 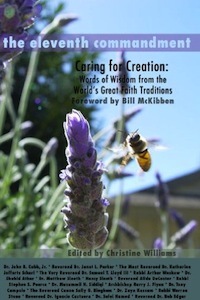 Care of Creation offers a biblical foundation and practical guidance about how Christians can personally exercise responsible care of God”s good creation. Concerned Christians will gain much needed biblical perspective on one of the most pressing issues of our time and will learn practical ways to exercise proper care of the world God has given us. 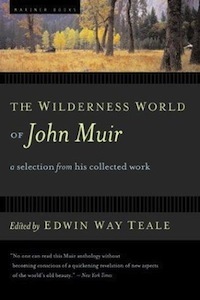 This startling collection includes writers from 17 states and features material from celebrated artists and activists such as Robert F. Kennedy Jr., Wendell Berry, Earl Hamner, Ashley Judd, Silas House, Denise Giardina, Erik Reece, Bobbie Ann Mason, Bob Edwards, Penny Loeb, Hal Crowther, Jean Ritchie, Terry Tempest Williams, Jeff Biggers, Ann Pancake, George Ella Lyon, Ben Sollee and many more. 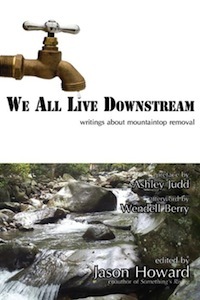 Edited by journalist & activist Jason Howard (coauthor of Something”s Rising), this book presents a rallying chorus of dissent against a reckless industry and drives home the point that energy (particularly domestic coal) is everyone”s issue … not only at the source but all the way “downstream. 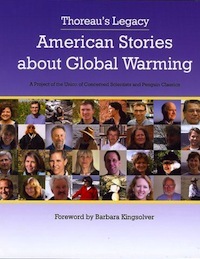 This new anthology from the Union of Concerned Scientists and Penguin Classics brings together established writers and fresh voices to inspire us with personal stories and reflections on global warming. 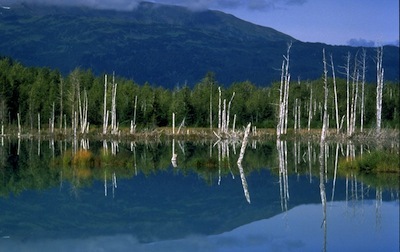 Following in a uniquely American tradition of environmental writing begun by Henry David Thoreau and continued by great writers from Rachel Carson to E. O. Wilson, Thoreau”s Legacy enhances our appreciation of the world around us and galvanizes support to preserve it for future generations. The 67 pieces of writing and art in the anthology are drawn from nearly 1,000 submissions about beloved places, animals, plants, people, and activities at risk from a changing climate and the efforts that individuals are making to save what they love. 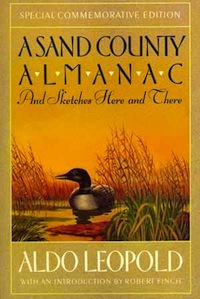 A foreword on global warming by the well-known author Barbara Kingsolver helps to set the context. Religions worldwide celebrate Earths abundance and sustenance, and call on humankind to give thanks, practice compassion, seek justice, and be mindful of future generations. 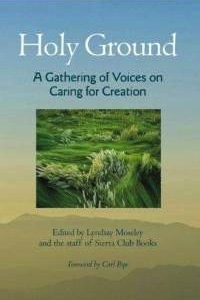 Here, leaders from many faith traditions, along with writers who hold nature sacred, articulate the moral and spiritual imperative of stewardship and share personal stories of coming to understand humans unique power and responsibility to care for creation. Holy Ground features essays, sermons, and other short pieces from, among others, Pope Benedict XVI, Orthodox Patriarch Bartholomew I, Islamic scholar Seyyed Hossein Nasr, Rabbis Zoe Klein and Arthur Waskow, Evangelical pastors Joel Hunter and Brian McLaren, environmental justice proponents Allen Johnson and Kristin Shrader-Frechette, Native American novelist Linda Hogan, and writers Wendell Berry, Gary Snyder, Terry Tempest Williams, and David James Duncan. In a world polarized by culture wars, religious extremism, and political manipulation, this collection is a sure sign of hope. “I Want to Help. But the World”s Problems Seem So Big. What Can One Person Do?” If you”re passionate about helping others—but aren”t sure where or how to focus your energy—Zealous Love offers information and ideas to help you integrate social justice into your life. The hope woven into every word of Zealous Love is this: God will move and direct you to act on your desire to love your neighbors in need, both globally and locally. 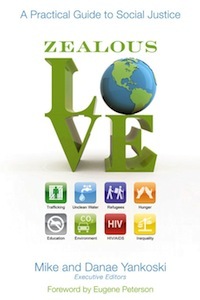 Zealous Love introduces you to eight of the world”s most pressing challenges: hunger, unclean water, HIV/AIDS, creation degradation, lack of education, economic inequality, refugees, and human trafficking. But it does more than educate. It provides real, practical, do-able steps anyone can take to help make a difference. 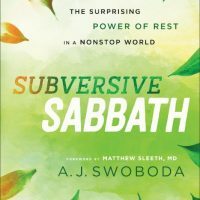 Each of the engaging chapters features first-person contributions from people like Dave Batstone (Not for Sale), Scott Todd (Compassion International), Sean Litton (International Justice Mission), Debbie Diederich (World Vision), Shane Claiborne (The Simple Way), Wendell Berry, Marva Dawn, and many others. Each contributor saw a need and decided to do something about it. They aren”t “Super Christians.” They”re just everyday people, like you, who wanted their faith to be more than just good intentions. For all people, and particularly for people of faith, the time is NOW to speak out for the preservation of this beautiful and fragile planet. People of all faith traditions are beginning to hear the call to take better care of the earth, and we must begin to answer with our actions as well as our prayers. This book contains masterful sermons and essays from nationally known and highly respected religious leaders, writers, and scholars. These writings will challenge our denial, complacency, and outright hopelessness (to borrow a theme from Chapter One by Dr. John B. Cobb, Jr.), and ignite the transformational fire within, moving us closer to living in accordance with the values of our professed faith. 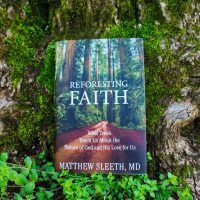 The reader will make the surprising discovery that the major world religions share common ground in the mandate of our respective scriptures to be faithful stewards of the earth. “The Eleventh Commandment” contains the promise of a new beginning for people of all faith traditions to become a part of the global movement that integrates faith with environmental stewardship. The Gift of Creation: Images from Scripture and Earth is a beautiful book featuring vivid images of the Earth and the varied forms of life that call it home. 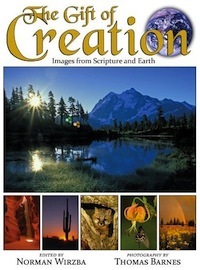 Coupled with the images are biblically-based essays, written by notable academics and scholars from around the globe, exploring what scripture really says about caring for God”s creation, as well as a scientific assessment of the state of the Earth. These essays give a current state of the environment and a poignant and much-needed treatise on humanity”s role in caring for God”s creation. Edited by Norman Wirzba with photographs by Tom Barnes, The Gift of Creation reveals the splendor of nature in its varied landscapes, flora and fauna. The text reminds us to cherish and care for God”s great gift.